Just south of the city Amid/Omid [Diyarbakir] along with the Tigris River west bank, the height Ziyaret Tepe is located and the ancient antiquities of the Assyrian city of Tushan. Long has many self-proclaimed historian denied and questioned Assyrian presence in northern Mesopotamia, in what is popularly called 'mountain of the servants (of God)', Tur Abdin. But the excavations of the Assyrian city of Tushan is just one of the many stages of discovery not only confirms an Assyrian presence but rather an Assyrian dominance in Tur Abdin. The excavations of the city of Tushan, which has been ongoing since 1997, but which has seriously begun to show results in recent years, is a collaboration between the University of Akron, Sweet Briar College, University of Munich, University of Cambridge and the University of Helsinki. 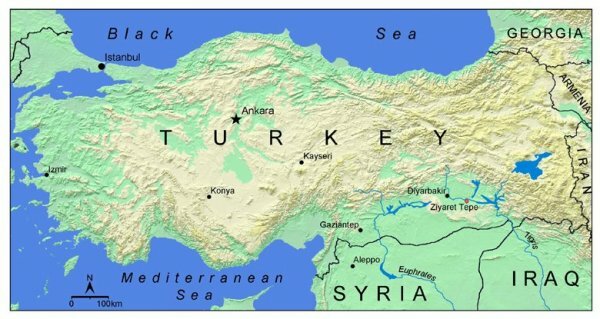 The project is led by assyriologist and Professor Simo Parpola and annually arrive professors, graduate students and students from dozens of countries to Ziyaret Tepe to participate in the excavations of the city of Tushan. Excavations show that the area Tushan rests on was inhabited already 3000 years BC. But the settlements from that time are modest and houses a range of just a few hectares. Tushans heyday starts instead in the Assyrian King Ashurnasirpals II's reign around 900 BC. Royal inscriptions tell that King Ashurnasirpal II rebuilt Tushan from scratch and re-populated the city with Assyrians. The city's various forts were repaired and rebuilt and a large palace for the ruling of the city was built. During King Ashurnasirpals II's reign and beyond Tushan became capital of the Assyrian province in the north. Many interesting discoveries have been made in and around Ziyaret Tepe by Professor Simo Parpola and his team. Perhaps the most interesting findings, however, are the cuneiform inscriptions they dug up in 2002 and 2003. Two of these writings are also dated. One written by Nabu-tapputi-Alik, one of the rulers of Tushan, from 613 BC and the other written by the Assur-sharrani, from 611 BC These two writings are from the time when the Assyrian capital Nineveh fell and both are important pieces in the research of what happened to the Assyrians after that. Several other inscriptions have been found with various Assyrian name Kiqillanu, Luqu, Sasi, Mannu-ki-Libbali and Mannu-ki-Ninua. Many of these inscriptions are in some way linked to the temple in Tushan and Assyrian goddess Ishtar of Ninve, Tushans protects goddess. It is not just in Ziyaret Tepe they have found Assyrian antiquities in Tur Abdin. Although permits for historic excavations rarely is given by the Turkish state it has been confirmed for instant that there is Assyrian relics in the endless cave system at Hasno d'Kifo [Hasankeyf], in the ancient city of Harran, best known for the temple of the Assyrian moon god Sin, and Urhoy, also called Urfa, or Edessa, which later became the center of the Assyrian Christian community. The most important thing at the time was the city of Harran which was both a great trading city and a major cultural city of the Assyrians. It is thus no coincidence that the last king of Assyria, Ashur-uballit II fled right into the Assyrian province in the north and the city of Harran when Nineveh fell into the hands of the enemy. Where the King held the northern province intact for another three years before also the northern province was occupied by the enemy. 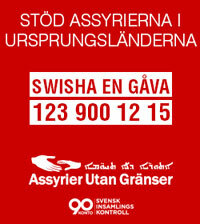 Although the Assyrian empire had fell the Assyrians themselves maintained the Assyrian culture alive. In his book "Edessa: The Blessed City" JB Segal confirms just that. Before the Abgar dynasty in Urhoy received Christianity Urhoy was a city of Assyrian gods Nabu, Sin, Shamash, Ashur, Bel, and Ishtar of Nineveh. Within the Abgar dynasty there were kings named Mannu, the Akkadian name that was found in Assyrian cuneiform from Tushan. This indicates that people in Urhoy and northern Mesopotamia retained its Assyrian identity and culture long after the Assyrian empire stopped to exist. The excavations of the city of Tushan is planned to continue until 2010 and its still much there to dig up. It's an interesting time waiting for the scholars in Anatolia. 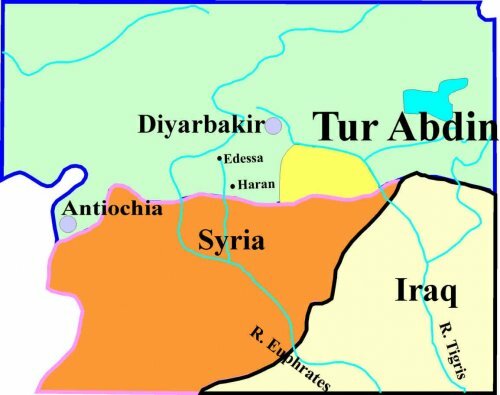 Tur Abdin was inhabited and dominated by the Assyrians, no serious historian can longer deny this. For further information on the excavations in the city of Tushan the researchers own homepage is recommended. Assyria TV also published a program about the Assyrian identity and the excavations in Tur Abdin you can watch it here and here.